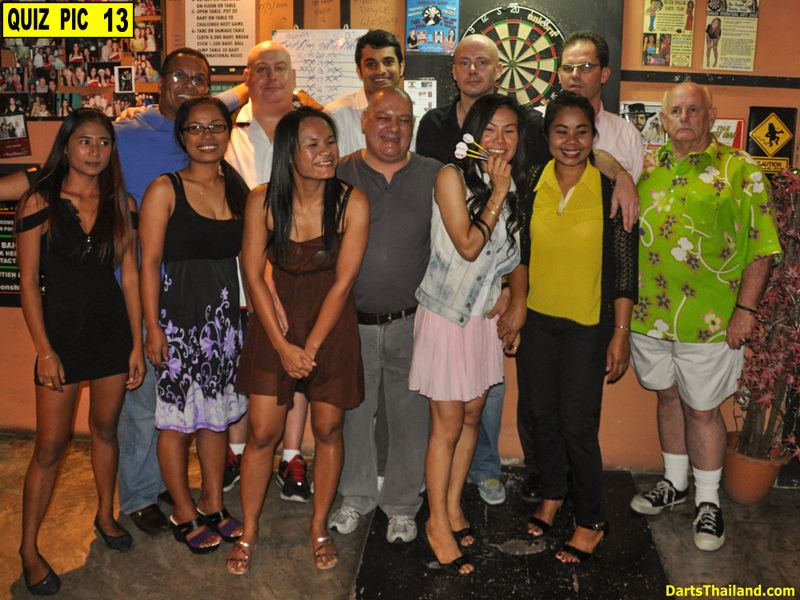 Sawadee ka – Greetings – to all of our darts friends from around the world. 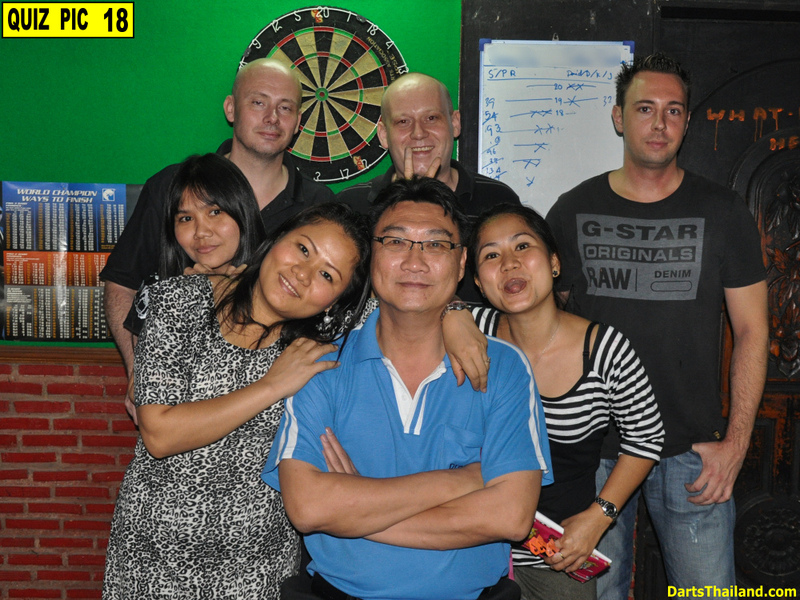 No doubt that running an active darts venue is a great way to meet people – long time friends both regulars and regular visitors as well as new friends. 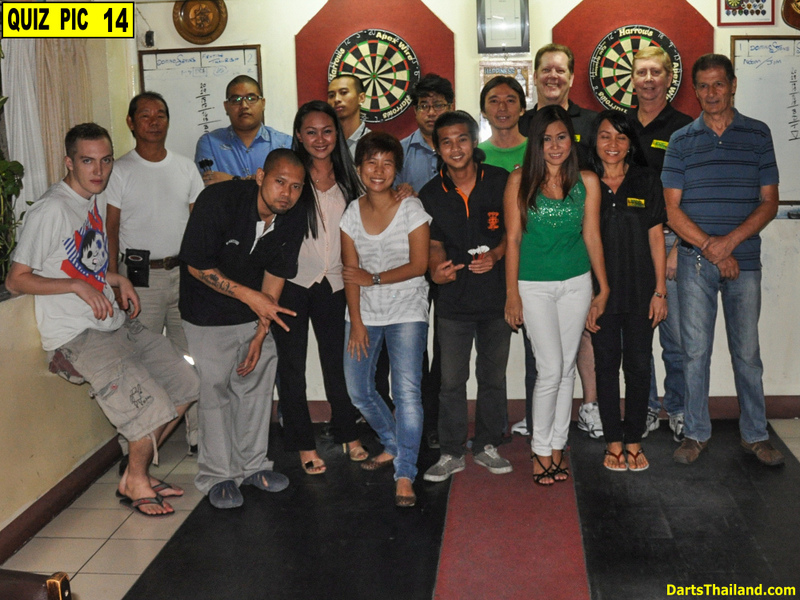 Darts is not just a game or pastime but one that creates a great social atmosphere that develops into lasting friendships. Darts Quiz articles have proven popular here on DT but getting anyone on the “less than motivated” DT staff to do more than order another pint and have another game of darts would be considered unrealistic by most. 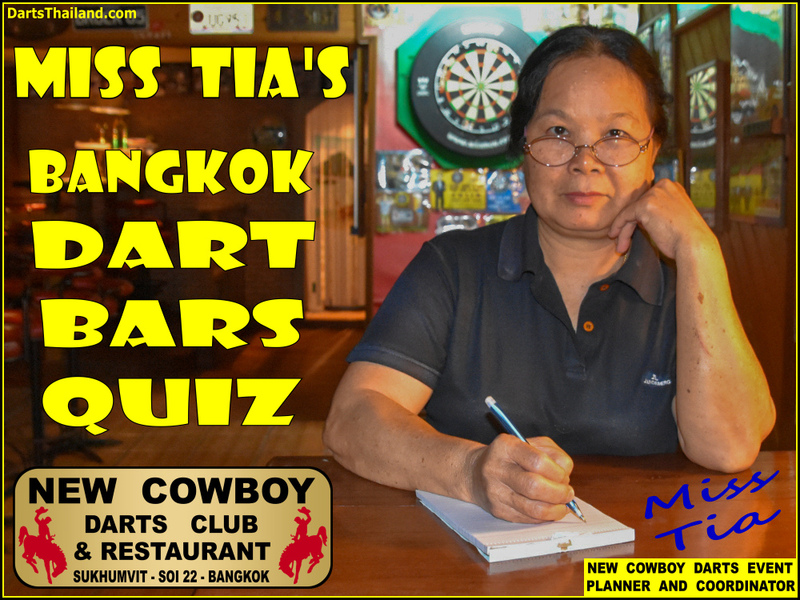 So I now present you with this new Bangkok Darts Bars Quiz with selected pics from the DT photo library. Some pics are easy to ID and others maybe not so easy – a challenge? THE QUIZ – The photos are numbered “Quiz Pic – 01” through “Quiz Pic – 18” – how many can you correctly identify? 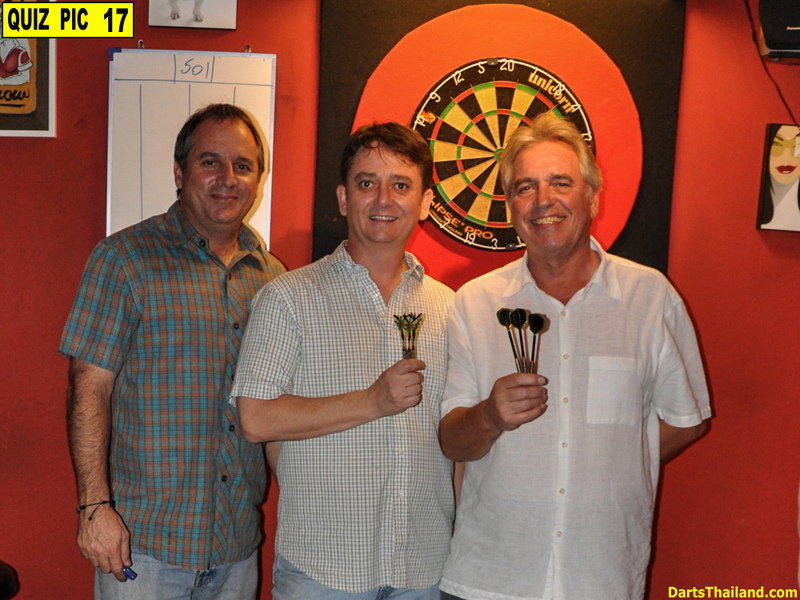 THE CLUE – Sadly none of these selected 18 darts venues remain today. Bonus Question – Only 2 of the 18 former darts venues are still a successful but dart-less businesses today. Which Two? THE PRIZE – A New Cowboy Pizza with Two Drinks. Stay tuned as the winner be announced. A bit about New Cowboy. 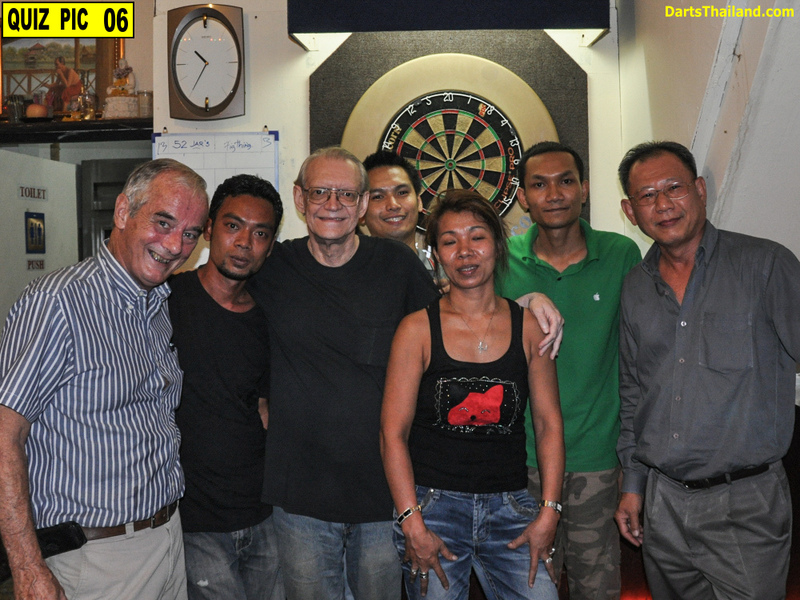 We are one of the oldest darts venues not only in Bangkok but in Thailand having been established in 1986. Now this may not be considered “old” by pub standards in the UK but here in the ever changing Bangkok metropolis – we’re historical. 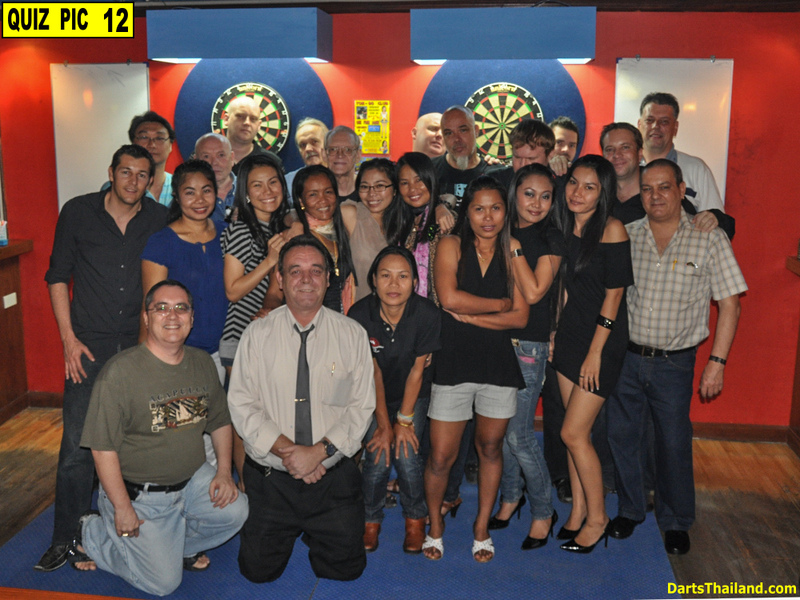 Sadly with the modernization of Bangkok – we’ve seen so many darts venues disappearing – many long time popular pubs with a real genuine character. These only to be replaced by modern “fake theme” plastic pubs. 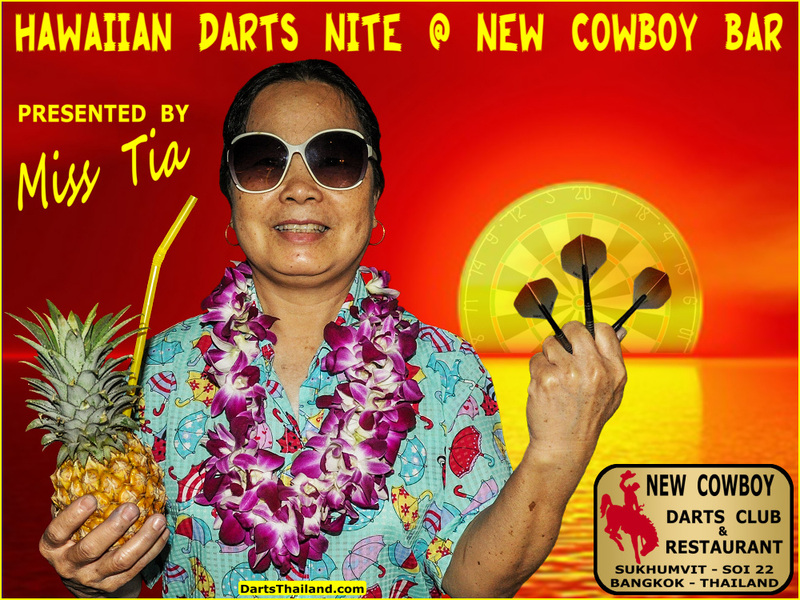 Some long-time patrons may be wondering why we’ve changed our name – originally known as the New Cowboy Bar & Restaurant and now referred to as the New Cowboy Darts Club & Restaurant. This name change decision was made for us by new zoning laws. 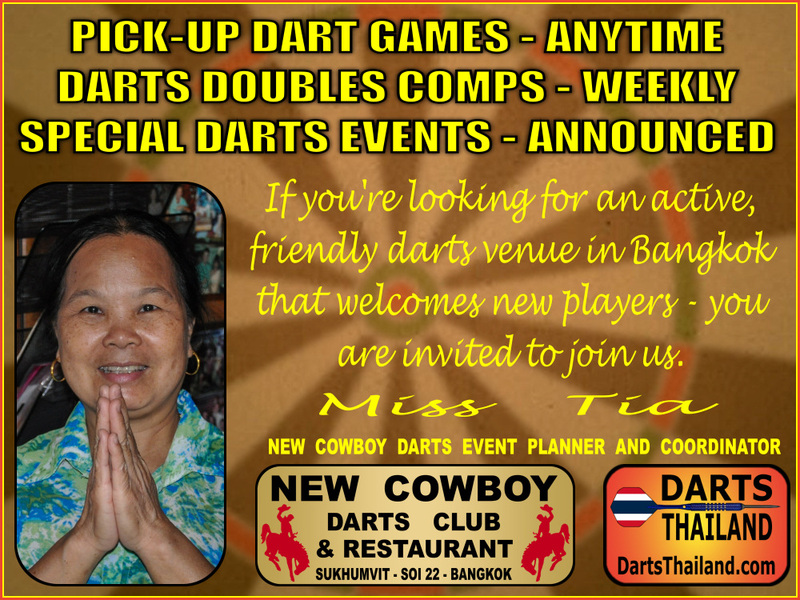 Being within a certain number of meters from a school we can no longer use the word “Bar.” Having “Darts Club with Restaurant” in our name implies that adult beverages are available. Correct. Other than removing “the word bar” – New Cowboy remains the same popular, friendly business as it’s always been. Our darts throw area is definitely and active one. Just about any time you can expect to see darts being played. Casual friendly challenge games like “Mickey Mouse” the preferred game of some especially our gals on staff and of course 501. 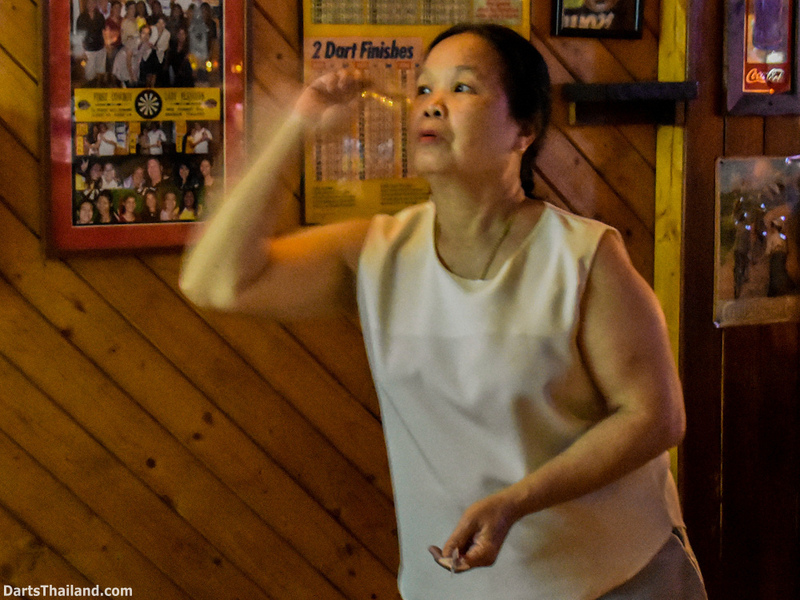 We have weekly 501 doubles matches usually on Fridays or Sundays – sometimes both depending on our regulars’ work schedules and visiting players. 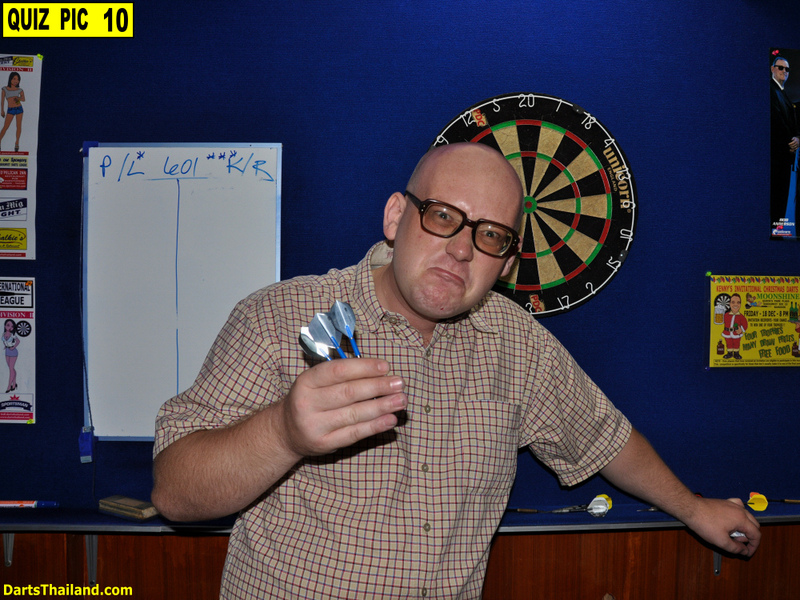 We have a variety of special darts events which are advertised here well in advance. 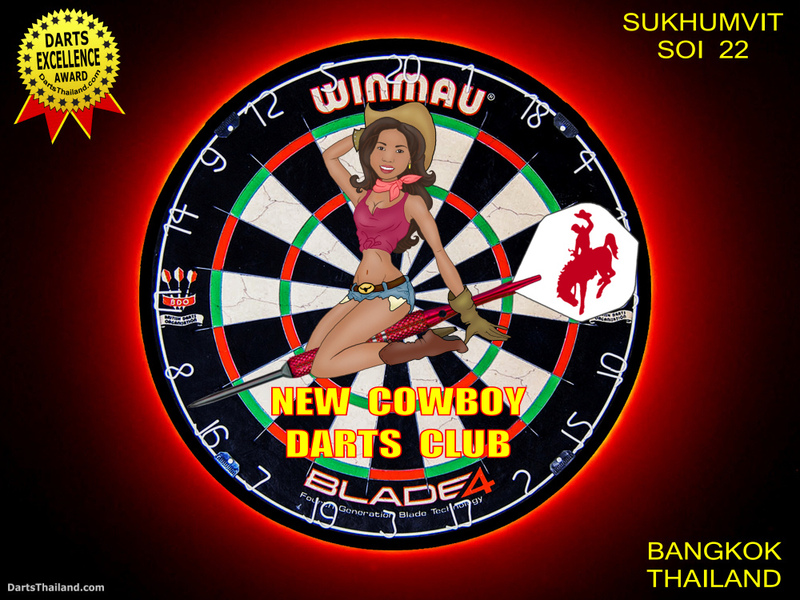 We also have a team playing out of New Cowboy in a local Tuesday night darts league. 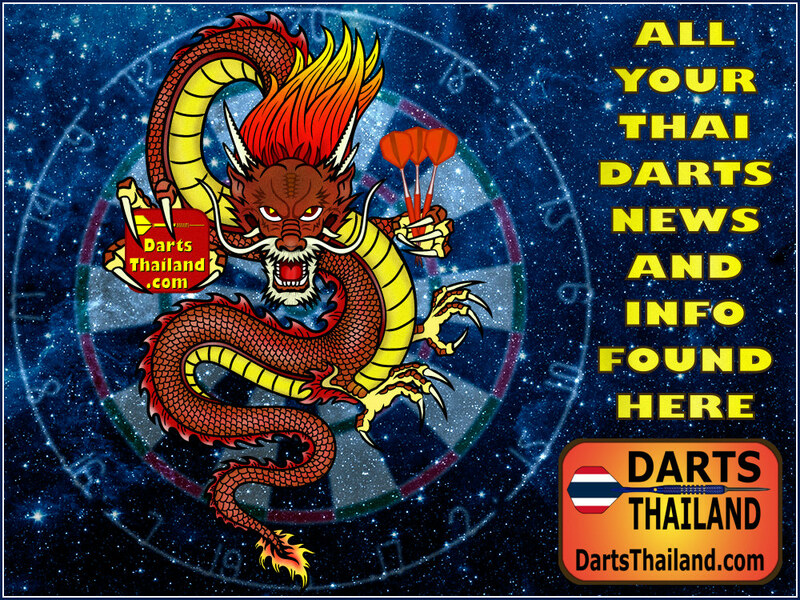 Friendly Darts Challenge Matches with other darts venues both in Bangkok and beyond have proven to be most popular in the past few years with our next match always in the planning. 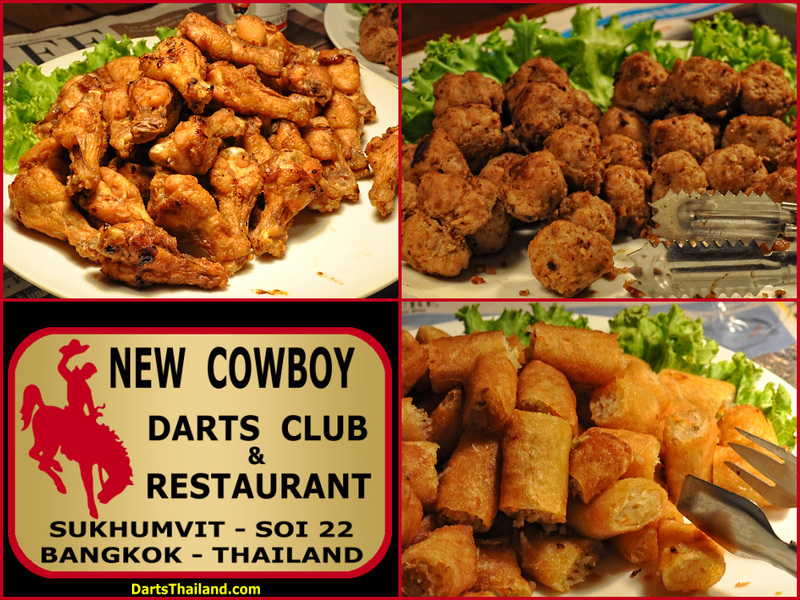 The popular Buddy’s Bar – now with three Bangkok locations – is our next friendly challenge – one home match and one away. Tom, you’d best get your team practicing as we wouldn’t want to embarrass you yet again. Actually the only “serious competition” is between the host venues providing the players with some great food.